Anonymous, 09 May 2016U can't download applications to sd card but some applications can move. Low internal memory o... moreExplain how, please. I am not given the option to move to SD card on ANY of my apps. AnonD-419825, 12 May 2016In j3 2016 internal memory just 8gb but u can moves apps to sd card I beg your pardon, I cannot move apps to the SD card. None of them are displayed with that option. The only things being saved to my SD card are my photos. I ran out of memory 4 days after getting it. If you know how to move apps to SD card, please share your secret. JV, 13 May 2016Piece of junk. 8GB memory is too small when apps are not able to be moved to the SD card. Also... moreAgreed. Don't know why more people aren't complaining about this issue. 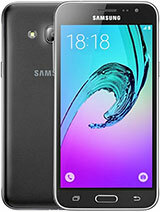 Samsung Lover, 25 Jun 2016Hey i ordered this phone.. So ans me.. => Has it any problems or not ? You can't move any apps to the SD card, and it only has 8gb of internal memory, over 4 of which are used by system apps. I ran out of memory less than a week of owning it, and all I can do is start deleting stuff. The SD card only holds media such as photos, documents, and maybe music.It's expandable to 128G, but I'll never even come close to filling my 16G SD card when I can't move ANY apps to it. I don't understand why more reviewers haven't mentioned this deficiency. I'M GOING TO SELL MINE and buy an HTC or an LG. 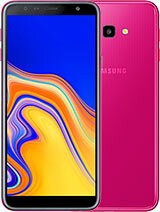 A very good phone for its price. 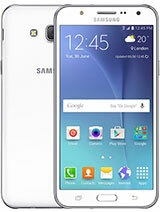 1.5ghz quad core processor is good with its optimize samsung system. Will buy a samsung again for sure. Have use s3,s4,mx4. This phone do not feel like a mid range phone at all. 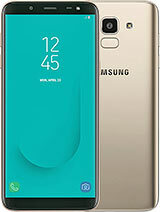 Two thumbs up for samsung for producing this excelent affordable phone. Hope this help somebody to make their decision. Buy the original.dont buy ap set. 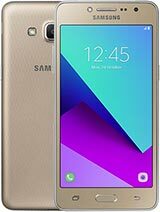 Bought this phone to replace her original Moto- G, came out of the box with Marshmallow, phone is very responsive screen is sharp no issues so far. Only thing she misses is the notification light but the phone does vibrate when you pick it up to let you know you have a missed phone call or a missed message. 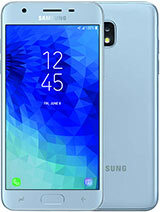 Overall great phone for 107.00!!! Hey how is battery backup on j3(2016) ? Does it give less backup than j5, j7 ?? 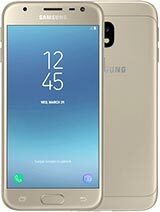 Anonymous, 02 Jul 2016Are this Samsung Galaxy J3 (2016) is good enough...i don't know with one to buy it...Iphone 5 ... moreIf I phone 5 is option then you should go with it. hii i bought this phone on july 1..this is a very fantastic phone but the bettry is take more time to full charge..otherwise all is good...and it looks very cute in hand..
just got a new j3 apart for overheating when downloading apps, how do you add smileys to your messages on my samsung s4 you just need to press the key at the left of the phone and choose smiley. on this one i dont know. any idea ? i have got an update on my samsung j3 (2016)so it wii have an android masmallow? ?? Have one, love it. Store I purchased from ordered case. Takes about 1hr to charge...longer if I'm using it. Color on it R vivid and lean just a tad towards the green-blue range, making colors really pop. * fingerprint, compass, gyro, accelrometer. Its taking to much time to fully 100% charge. So plz upgrade it to v6.0.1 (MM). Very disappointed with j3(2016) not receving yet MARSHMALLOW update ! !